FROM THE BNP PARIBAS OPEN AT INDIAN WELLS -Picture the little Novak Djokovic peering out of the windows of his family pizza and pancake restaurant when he was a kid, watching laborers dump a ton of crushed red brick on the ground, roll it over and over, nail down some white plastic tape, raise some fences and eventually, view a proud woman stride onto the surface and begin hitting balls. Such was the scene in Serbia back in the early 1990s and one day little Novak walked across the street, and met the woman who would teach him to play, Jelena Genie, whom he still keeps in contact with. You can still see a few videos of the two working together online and it was clear then she knew exactly what she was doing and pretty soon, he had his base down. A real Ivanovic revival this time? 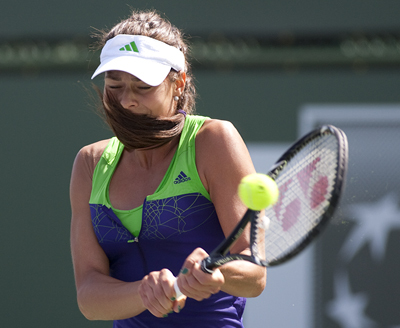 FROM THE BNP PARIBAS OPEN AT INDIAN WELLS – Ana Ivanovic has had plenty of coaches, trainers and physios. Some have connected with her, some haven’t, but it’s fair to say that despite getting some pretty good advice since she won 2008 Roland Garros and briefly rose to No. 1, that she didn’t heed much of it, or was unable to absorb it, didn’t believe in it, or just wasn’t in then the mental state to make use of it. On Thursday after she reached her first WTA Premier mandatory semifinals since Indian Wells 2009 by whacking an ill Marion Bartoli 6-3, 6-4. Like she was in her upset of Caroline Wozniacki, she was quick and lethal off her forehand side and her often spotty first serve help up very well. She was vicious with her return and closed out points quickly. Nadal just can't stop competing. FROM THE BNP PARIBAS OPEN AT INDIAN WELLS – Rafael Nadal is the ultimate athlete. He is just so specific about everything that has to do with his involvement in sports, from taping and re-taping four of the fingers on his left hand to avoid blisters (he never takes the tape off during matches now), to going to the driving range with the same battered hand if he has a bad round of golf. Sports is his cathedral, and he is spiritually devoted to worshiping at the altar while following a decisive code of morals. 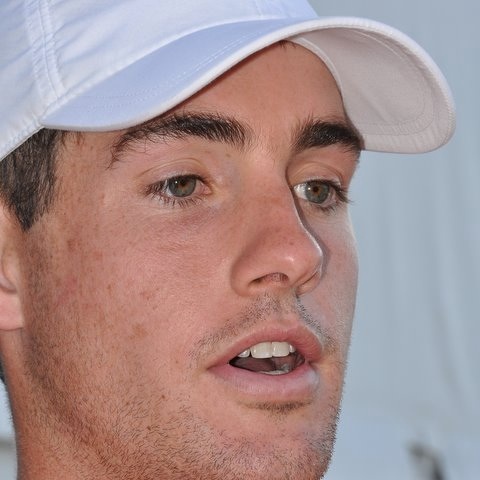 FROM THE BNP PARIBAS OPEN AT INDAIN WELLS – In the end, it looked nothing like the middle, which was almost the end of Rafael Nadal at Indian Wells. 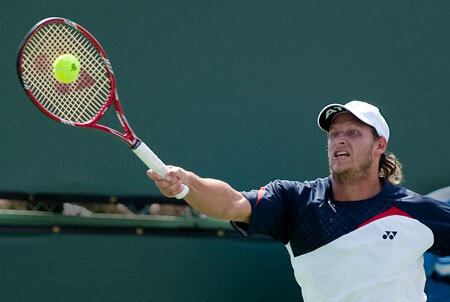 Then, David Nalbandian was having his way with the Spaniard, caning the ball with such force off both wings that he was one point away from going up two breaks in the second set. FROM THE BNP PARIBAS OPEN AT INDIAN WELLS- After a rapid first set that saw Wimbledon champion Petra Kvitova hit through and around her and only drop one point with her tricky lefty serve, it looked like that U.S. teenager Christina McHale might be shown the door early. But if nothing else, the scrappy and quiet girl from New Jersey is incredibly resilient and an hour and a half later she had shocked the tall Czech 2-6, 6-2, 6-3 for the one of the greatest victories of her young career. McHale had come into WTA Premier mandatory event seeded for the first time and has already made the most of it: yes Kvitova is still sick post her bout with virus that she caught in the middle east; and could not crack in a serve more than 100 mph and or keep her usually lethal forehand in check in the last two sets, but McHale showed off terrific counterpunching ability, and served tremendously well, hitting one serve winner after another down the tee, once that reached 113 mph.